Based on our uniquely developed Automation System We build and sell anything from small trolleys to complex production lines. 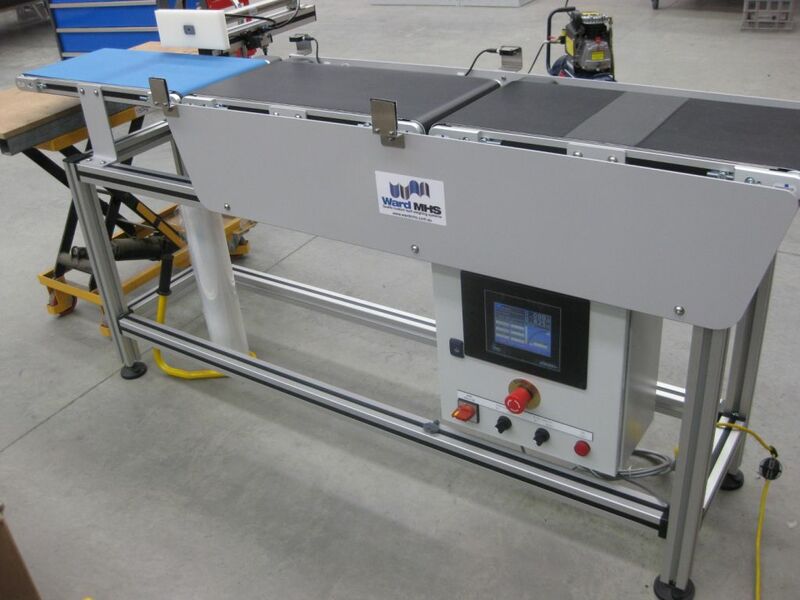 We specialise in conveying systems for the manufacturing industry. We’re part of an international organisation. Our clients range from small companies to large corporations including Toyota, Illy Coffee, Siemens and many more. 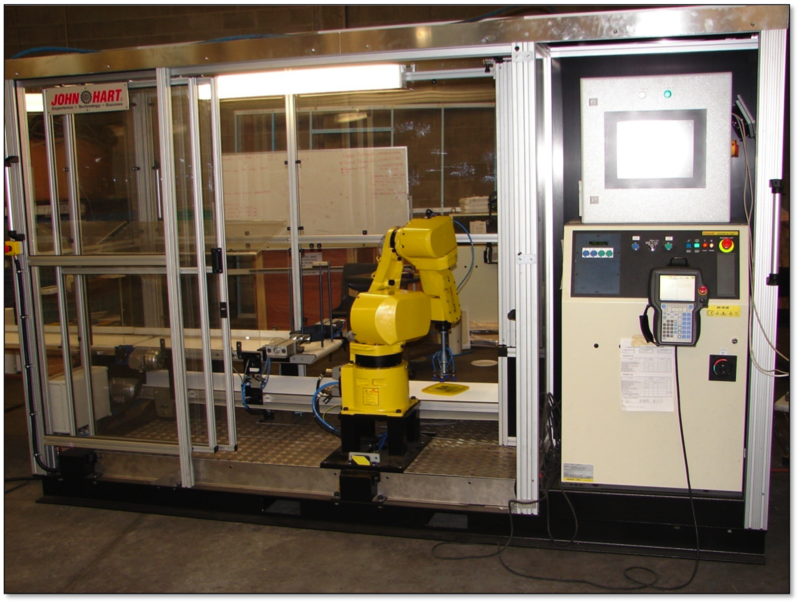 We’ve been helping Australian manufacturers for 10 years to streamline their production processes and increase efficiency. Our mission is to help businesses to thrive in these competitive times. We do this by helping them to reduce their production costs. We’re known for providing easy solutions to complex problems. 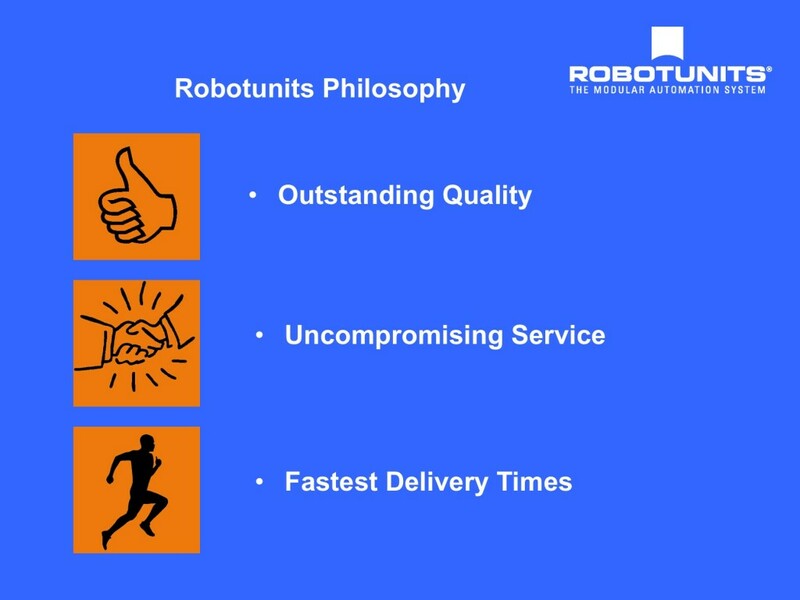 Robotunits guarantees to deliver on time every time in a fun, fast and friendly way. We offer a free one-hour consultation either on the phone or on site to discuss your greatest challenges. Our high quality products and exceptional service are well known across Australia. Call us today to book your appointment and we look forward to working with you. We here at Robotunits take our work extremely seriously. Everything we do is based on our core values. All these values are very important to us here at Robotunits. We believe these are the foundation to our customers as well as our own success. Lately we have been expanding some of those values outside of our normal working hours. 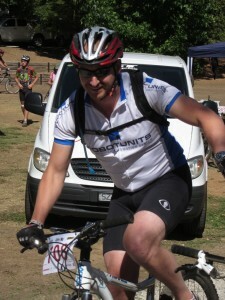 We decided to put together a team to ride in the Gravity 12hour Mountain bike Challenge. The idea was to open it to our employees as well as suppliers and customers. It was all a bit short notice but a team of four was quickly found with Adam Elford, Paul Brauer, Grant Tartaro and myself up for the challenge. 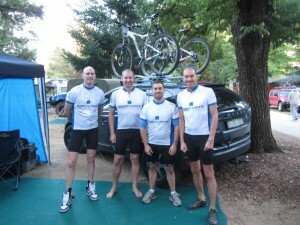 We even managed to get in a few training rides in the weeks leading up to the event. So on Friday the 1st of February, building of conveyors and other equipment here in our factory was scaled down and race preparation was all the rage. We arrived in Bright mid afternoon, set up our site and went straight for a training ride to check out the course. It all looked easy enough and we where confident for the race. Saturday morning it was all game on. Adam Elford was our first rider and all though he got caught up in the middle of the field after a hilarious “Le’mans” start managed to crank out one of the fastest laps of the day. I followed after Adam and managed a respectable time also. So did Paul and Grant. After that it was all getting a bit harder. First Adam had a flat about 500meters before the finish line and had to run to hand over to me. I quickly made up for some lost time only to loose front wheel grip about half way around the course. I rode the bike back in agony and still managed to limp back in a respectable time. Unfortunately my race day was over. So Adam, Paul and Grant stepped up and rode extra laps to make up for my misfortune. In the end Adam did 5 laps, Paul and Grant did 3 each and I did only 2. With all that we came home 12th out of 18 Teams of Four. We thought that was mighty respectable for our first race entry especially seeing that there have been professional Team entries from Bicycle Superstore and Torque. All in all, we accomplished our mission to have a lot of fun. My hand is almost back to normal and my rip will be fine again soon. We are already thinking of entering some other races and we will definatly be going back to compete again in the 2014 Gravity 12hour Mountain Bike Enduro Race. If you would like to join us please let us know. The more we are the more fun we’ll have. 2012 has been a busy year again here at Robotunits Australia. All though the manufacturing industry is shrinking and shrinking each year we have actually managed to hit all our goals for this year. That is only possible because we have such a loyal customer base. We would like to sincerely thank You, our valued Customers for your support and trust during the last year. We hope we can help you again next year and contribute to your success in 2013. 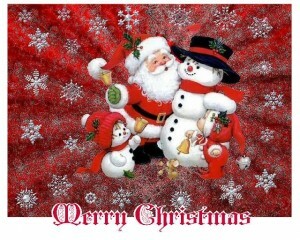 Robotunits Australia will be closed over the holiday period from Friday 21st of December to Monday the 7th of January. We wish you all a relaxing holiday period and a very successful 2013! Robotunits Australia is expanding again. To support our rapidly growing customer base in New South Wales and South Australia we are proud to announce a dedicated customer representative for these markets. Starting November 2012, veteran project manager Jeremy Singh will service existing and new clients in these important areas. Jeremy has worked for Robotunits Australia as a project manager for more than two years and is now taking on the additional role as a customer representative. 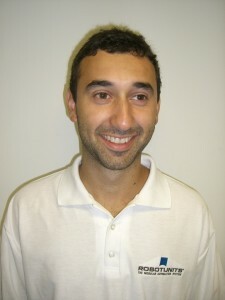 He will be in travelling extensivly to service the needs of our customers in New South Wales and South Australia. Robotunits Australia Managing Director Jurgen Mennel commented, “ We have been fortunate to have Jeremy in the team for many years now. He has an amazing work ethic and was always dedicated to the success of our clients. We can always count on Jeremy’s honest and clear information as well as his excellent technical knowledge”. If you want to discuss a project please call Jeremy in the office on 03 9334 5182 and arrange a suitable time for a visit. 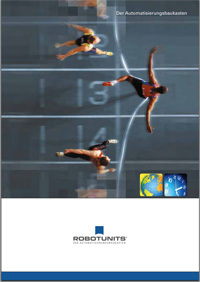 Robotunits Australia has just released the latest product catalogue. Version 13 is available right now featuring the latest product information of the Robotunits Modular Automation System. The newly designed catalogue is now even more userfriendly. Many quick index references and icons guide you to your desired products in seconds. 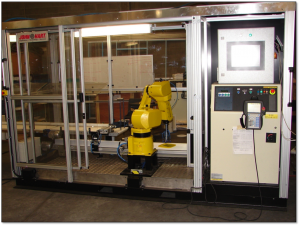 All technical information is now split into six chapters (Conveyor Technology, Linear Motion Units, Aluminum Profiles, Connection Technology, Multifunctional Accessories and Safety Fencing). Each article has a dedicated page in the new Catalogue making it very easy to read. Additional information like relevant standards, service information and installation guidelines make the new Robotunits catalogue an important directory for the daily use of every design engineer. How can I get my hands onto the latest Robotunits catalogue? Please send us an email on (info.aus1@robotunits.com) or call us on 03 9334 5182. Our Sales representative will be happy to drop the catalogue to you or we send it out via mail. In addition, you will find all information in the webshop and can download the pdf-catalogue via this link here. We are looking for a experienced Sales Representative to help us increase our presence in Sydney. If You or anyone else you know is interessted in this role please contact us. We are also looking for a Distribution Partner in NZ. Applicants must have an excisting distribution network of a complimentary product to Robotunits. If you know of a company that may be interessted please pass it on or let us know. “Team Robotunits” came out on top at the 24th edition of the Dolomitenmann, argubly the most challenging extreme sports team competition in the world. 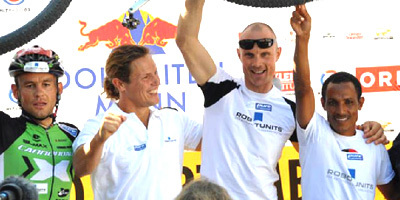 Mountain Biker Hannes Pallhuber, Kayaker Gerhard Schmid, Para-glider Markus Prantl and Mountain Runner Azarya Weldemariam crossed the finnishing line after 3 hours and 55 minutes, almost 4 minutes ahead of second placed team “Kolland Topsport Kleine Zeitung”. 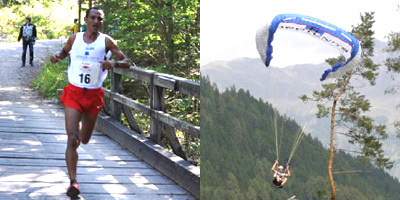 The team’s success was perfected with two individual wins for the Best Mountain Runner and the Best Paraglider. Team captain and coach Christian Beer who helped put the team together was ecstatic about the sensational performance of the four extreme athletes. Mountain runner Azarya Weldemariam was the stand out man on the day. He set the base for the win by eclipsing previously unbeatable world number one mountain runner Jonathan Wyatt. After running 11 km and assending 2000 meters he lead Jonathan by over 30 seconds to pass the bat to paraglider Johannes Prantl. The extreme paraglider increased the overall lead even further by also putting down the fastest time of the day. 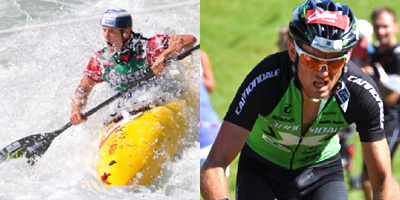 The river Drau took everything from kayaker Gerhard Schmid who put down an excellent time to hand over to the last man Hannes Pallhuber for the mountain bike leg. After 17km of challenging uphill and downhill mountain bike track, Hannes crossed the finnishing line celebrating in front of more than 50,000 spectators.